Aaron Demosthenes was given the WB reigns in 2003 by Wally Walker. 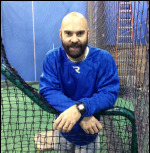 He is the current owner of WB and has been coaching baseball at several levels since 1992. 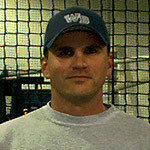 His most recent body of work was at Western Nevada College, where he served as the team's Assistant Head Coach and Hitting Coach over the course of 11 years (2006-2016). During his time at WNC he had the privilege to coach 77 players who earned NCAA Division I scholarships and 43 players who earned NCAA Division II, or NAIA scholarships. He was also fortunate to have coached 28 players that were selected in the MLB Draft. In addition to all of the individual successes at WNC, those teams achieved 10 NJCAA Academic All American Team awards, 5 Region XVIII Championsips, 3 NJCAA Western District Championships, and 3 NJCAA World Series appearances. 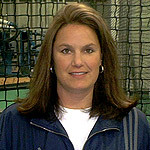 Jody Longballa began her softball/baseball coaching career in 1990. She spent her collegiate coaching career at Creighton University in Omaha, Nebraska. Internationally, Jody coached an amateur USA team. She took the team to Australia to compete and brought home the gold medal. Now, Jody spends her time giving private softball and baseball lessons. As a player, Jody was a five time National Champion with the California Raiders. In 1984, she participated in the Olympic Games and won a bronze medal! Jody played four years of softball at Creighton University. She was a two time NCAA "All American", and was recently inducted into Creighton's Hall of Fame. Jody also has experience playing semi-pro baseball for the local Reno Diamonds. She was the first woman to participate in the Mens Adult Baseball World Series in Phoenix. Nick Kuster was born in Reno, NV and attended Reed High School where he played for John Phenix. Nick set many records at Reed High School including Batting Average, Home Runs, and RBI’s. He received several Division I scholarship offers to play baseball and decided he would attend UNLV and play for the legendary coach Fred Dallimore. Nick had a great deal of success during his 4 years playing at UNLV including All-Conference selections every year and received honors such as a pre-season All-American and College baseball’s top blue-chip prospects in America. ​After a career ending injury, Nick went on to coach at the Junior College level in Colby, Kansas as a head assistant under Reed Peters. Nick’s passion for baseball urged him to go get his masters so he could move on to the D1 level to coach. He moved back to Reno to pursue his masters and at the same time joined the baseball staff at Wooster High School as the Head Assistant to Ron Malcom. That is where Nick stayed for 12 years, which included several trips to the Nevada NIAA State Baseball tournament including winning the championship in 2002. The Wooster Colt’s ended up 9th in the Western United States Poll that year. During his years at Wooster he also became an Associate Scout in 2007 for the Detroit Tigers. He is currently is an administrator in Washoe County and works as a School Improvement Coordinator while continuing to give private instruction at WB Baseball.